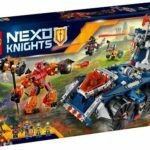 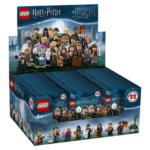 Celebrate 40 years of minifigures with the LEGO minifigures party series, featuring 16 brightly dressed characters with party accessories, plus a replica of the first minifigure ever produced. 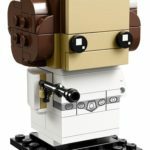 This LEGO® BrickHeadz Princess Leia Organa™ construction character is fun to build using LEGO bricks that recreate all her iconic details, including her blaster, white robe and signature hairdo. 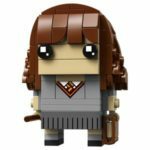 This LEGO BrickHeadz™Hermione Granger™ construction character is fun to build using colorful LEGO bricks that recreate all her iconic details, including bushy brown hair and Hogwarts™ tie. 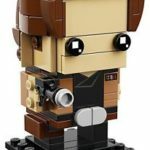 This LEGO BrickHeadz Han Solo figure is fun to build using colorful LEGO bricks that recreate all of his iconic details from the Star Wars saga, including a brown jacket and utility belt. 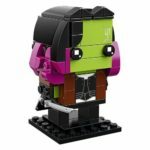 This LEGO BrickHeadz Gamora construction character is fun to build using colorful LEGO bricks that recreate all of her iconic details from the blockbuster Avengers: Infinity War movie, including green skin, dark pink hair highlights and black outfit. 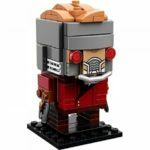 This LEGO BrickHeadz™ Star-Lord construction character is fun to build using colorful LEGO bricks that recreate all of his iconic details from the blockbuster Avengers: Infinity War movie, including golden hair, battle helmet, red eyes and boot rockets. 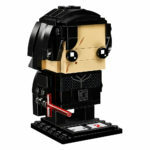 This LEGO BrickHeadz™ construction character featuring Kylo Ren™ is fun to build using LEGO bricks that recreate all of his iconic details from the blockbuster Star Wars: The Last Jedi movie, including decorated torso and belt.